This isn't just for the laydees of Gizmodo. Men make sauces too! And with a name like "Autonomous Saucier," it's practically using robot technology, right? 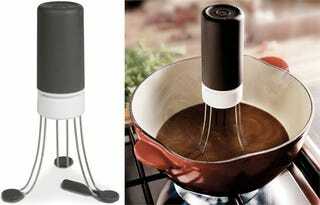 The little sauce-stirrer has stainless steel legs and with speeds for perpetual standing-upright whizzing.